Dr. French L. Arrington will present the Thirteenth Annual Azusa Lecture on Tuesday, October 23, at 7:00 p.m. in the North Cleveland Church of God’s Dixon Chapel. 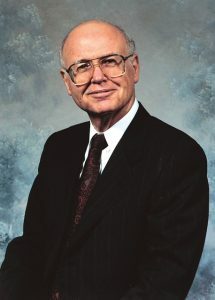 Arrington has distinguished himself as a Bible teacher and scholar since 1964 when he joined the faculty of Lee University. While at Lee, he chaired the Department of Biblical Historical Studies during the college’s transformation to a four-year liberal arts educational institution, and he received the school’s highest faculty honor–the Excellence in Teaching Award. He joined the Pentecostal Theological Seminary faculty in 1981 where is serves as Professor of New Testament Greek and Exegesis as well as the Niko Njotorahardjo Chair for the Restoration of the Tabernacle of David. Prior to answering the call to Church of God ministry, Arrington served in the U.S. Army from 1950 to 1953. A popular speaker at conferences and local churches, his education includes degrees from Lee College, University of Chattanooga, Columbia Theological Seminary, and St. Louis University where he earned the Ph.D. in Biblical Languages. He has written extensively on several books of the Bible, such as Romans and Acts, along with theological works such as the three-volume Christian Doctrine: A Pentecostal Perspective. 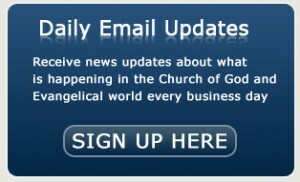 His most recent publications are A Spirit-Baptized People and An Expectant People. He also serves as chairman of the Church of God Doctrine and Polity Committee. Following the lecture, the Dixon Pentecostal Research Center will present the Spirit of Azusa Award to Dr. Lamar Vest. A reception will follow in Bryant Fellowship Hall (Faith News article on Vest to follow presentation of award on October 23). The Dixon Pentecostal Research Center is sponsoring the Azusa Lecture in partnership with other ministries that are recognizing and celebrating the work of both Arrington and Vest. Among these are Pastor Niko Njotorahardjo, lead sponsor of the lecture, and the American Bible Society under President Roy Peterson, which is the lead sponsor of the Spirit of Azusa Award. Other sponsors include Ken and Debbie Davis, Church of God Division of Education, Church of God Department of Youth and Discipleship, Pentecostal Theological Seminary, Church of God in California/Nevada, Church of God in Delmarva-DC, Mt. Olive Ministries, and North Cleveland Church of God. The purpose of the Azusa Lecture is to celebrate the rich heritage of the Pentecostal Movement. The Dixon Pentecostal Research Center launched the annual lecture in 2006 on the occasion of the centennial of the revival at the Azusa Street Mission in Los Angeles. The Los Angeles revival began when African-American Pastor William J. Seymour preached a message of Spirit baptism following salvation and sanctification. What started as a home prayer meeting attracted throngs of seekers and was moved to an abandoned church building at 312 Azusa Street. Hundreds traveled to the Azusa Street Mission, received a personal baptism of the Holy Spirit, and took that message to their homes, churches, and communities. Founded by Charles W. Conn on the campus of Lee University, the Dixon Pentecostal Research Center is one of the world’s significant collections of Pentecostal materials as well as the archives of the Church of God. In addition to students at Lee University and the Pentecostal Theological Seminary, numerous scholars use the Center’s holdings related to the Pentecostal-Charismatic Movement. Roebuck serves as director, and David “Gene” Mills, Jr is the archivist. The lecture and reception are free, non-ticketed, and open to the public.